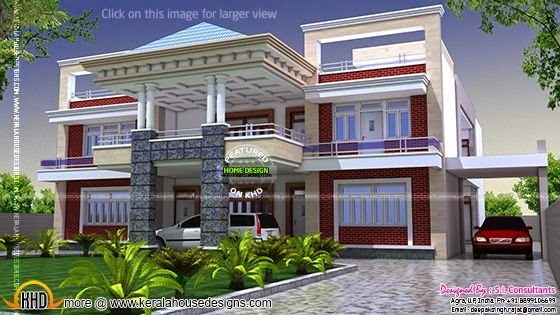 Today we are showcasing a super luxury North Indian style modern house with 6 bedrooms. The total area of this gigantic house is 7000 square feet (650 square meter) (778 square yard). Designed by S.I. Consultants, Agra, Uttar Pradesh, India.